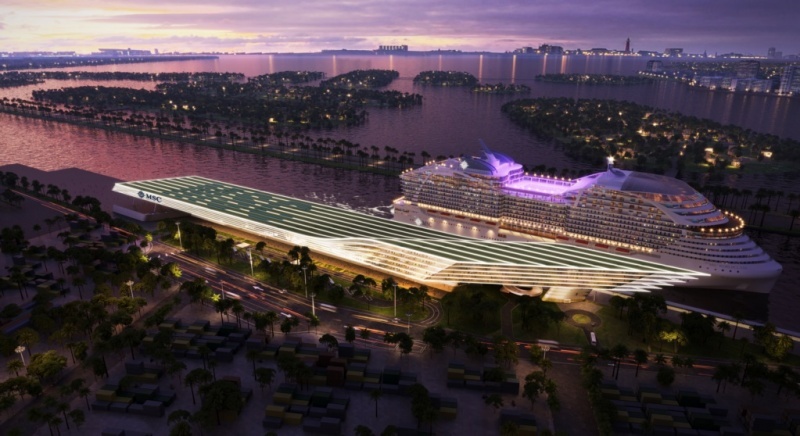 The PortMiami terminals will be capable of hosting two mega cruise ships at the same time, allowing the MSC to conduct two turnaround operations simultaneously, handling up to 28,000 passenger movements per day. Work on the new terminals is due to commence in early 2020. 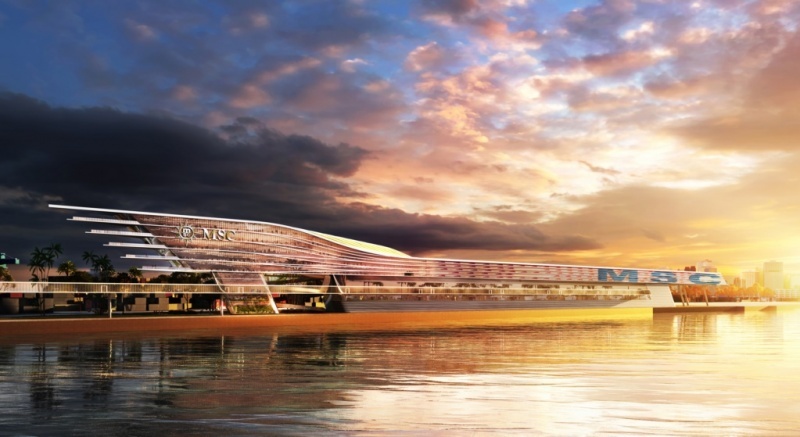 MSC Cruises currently estimates that the work will be completed by late 2022, at which time it will transfer all its PortMiami operations to the new Terminal, according to a statement. 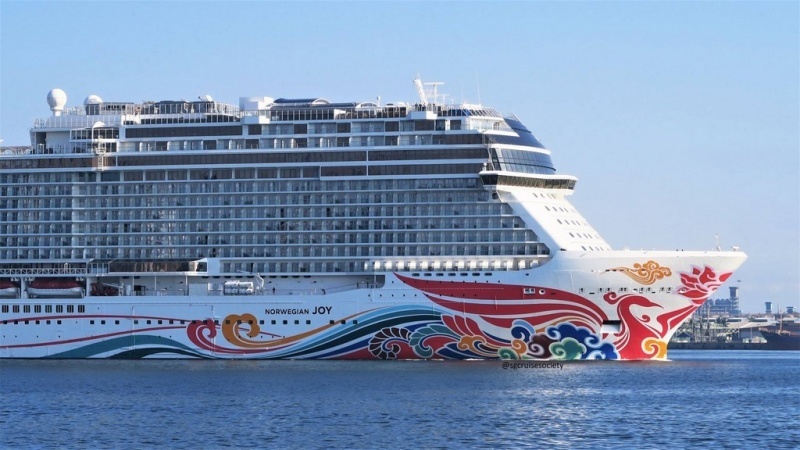 While work began in early March in China, the ship’s Pacific crossing will be a working event with no guests, with interior renovations set to conclude later this month as the ship reaches Seattle. A crane has collapsed onto one of the biggest cruise ships in the world leaving eight people injured. 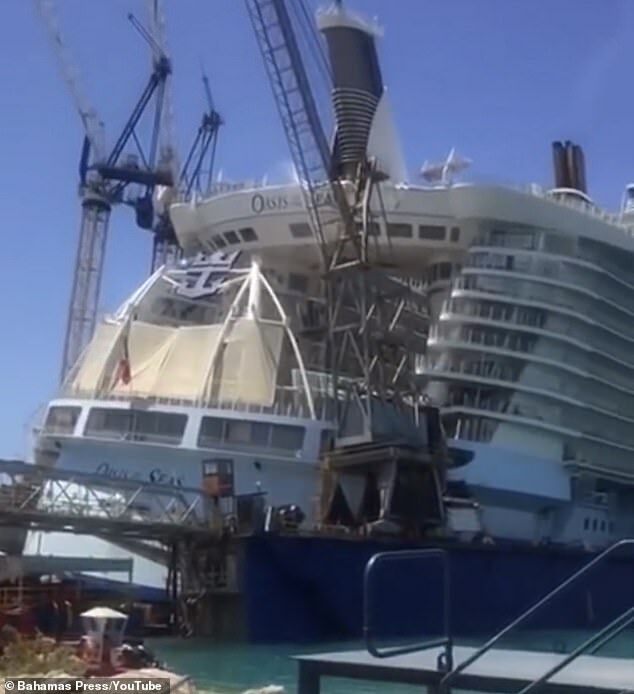 The Oasis of the Seas was in dock in the Caribbean when the crane crashed into the £1billion vessel causing the huge 228,225-tonne liner to list. A construction crane came down and smashed into the stern of the boat, which has a capacity of 6,300 people, into the area its AquaTheatre is located. The four-deck luxury liner which is the fourth largest in the world was in dry dock near Freeport in the Bahamas when the accident happened on Monday at around 1.45pm local time. A video of the aftermath was posted on YouTube and has been viewed more than 6,000 times. The only crew were on board the liner at the time and no guests were present. All the eight injured people are thought to be dockyard workers, but none are thought to be in a life-threatening condition. A spokesman for Royal Caribbean which owns the liner said: ‘We are responding to a construction site incident at the Great Bahamas Shipyard, where Oasis of the Seas is currently in dry dock. 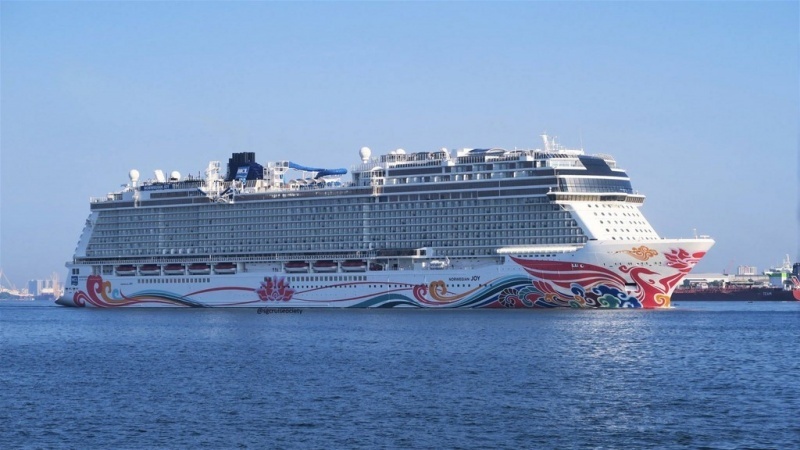 The ship, which had been based at Port Canaveral, Florida, was undergoing routine maintenance on Grand Bahama Island, Royal Caribbean officials said. Nearly 500 people were struck down with norovirus on board the Oasis of the Seas in January and the huge cruise ship had to change course and head to its home port at Port Canaveral in Florida. When the ship launched in 2008 she was the largest cruise ship in the world.